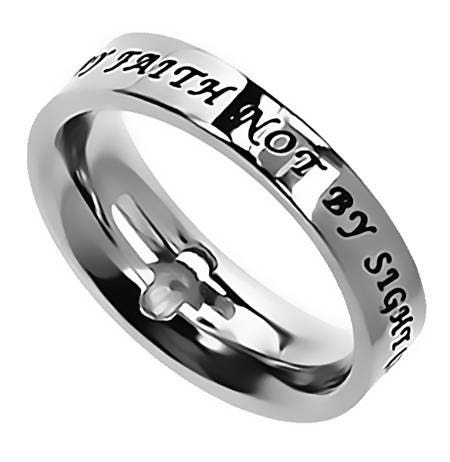 Solitaire Ring "Walk By Faith"
Stunning high polish stainless steel band tapers from a petite 6 mm top to a 4 mm back. 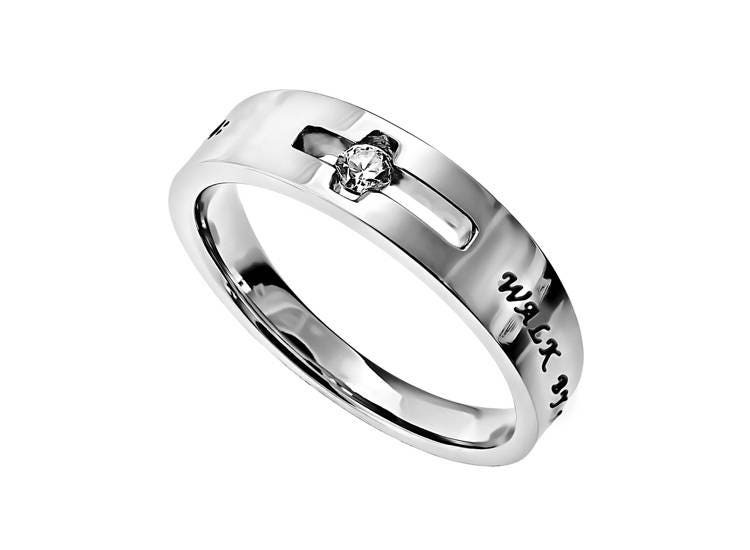 Within cut out cross is grip set a solitaire cubic zirconium clear stone. Black enamel filled engraving wraps entire band from one end of the cross to the other reading "Walk By Faith, Not By Sight - 2 Cor. 5:7".